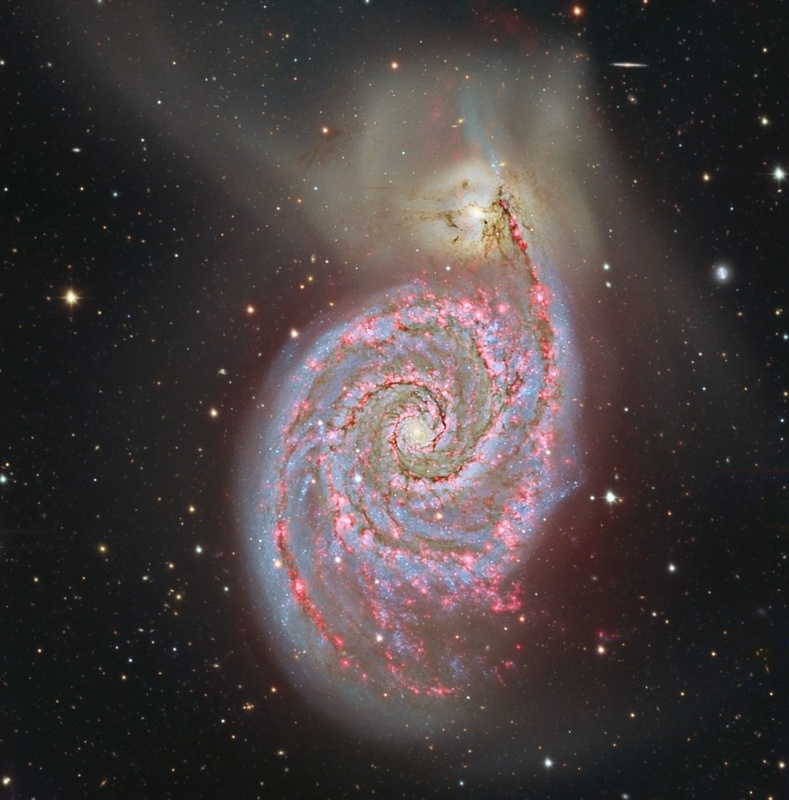 Explanation: Perhaps the original spiral nebula, M51 is a large galaxy, over 60,000 light-years across, with a readily apparent spiral structure. Also cataloged as NGC 5194, M51 is a part of a well-known interacting galaxy pair, its spiral arms and dust lanes clearly sweeping in front of companion galaxy NGC 5195 (top). This dramatically processed color composite combines M51 image data from the Calar Alto Observatory's 1.2 meter telescope. The data include long exposures through a narrow hydrogen alpha filter that trace emission from atomic hydrogen. 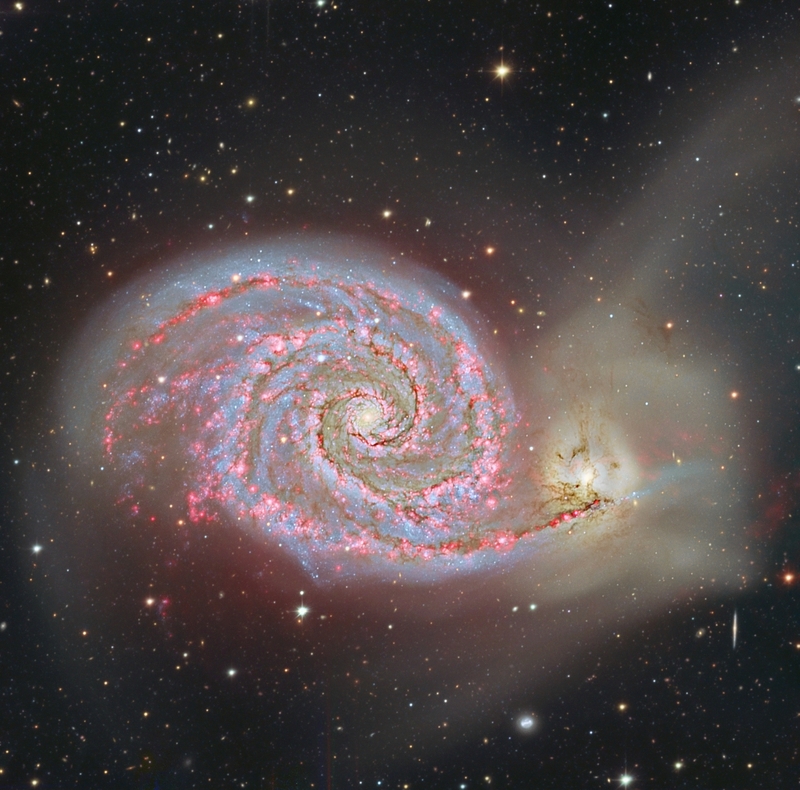 Reddish hydrogen emission regions, called HII regions, are the regions of intense star formation seen to lie mainly along M51's bright spiral arms. Intriguingly, this composite also shows red hydrogen emission structures in the faint features extending even beyond NGC 5195, toward the top of the frame.